Portola Valley Farmers' Market was established in June of 2013 by the wonderful Maggie Foard. 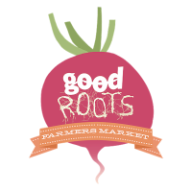 In October of 2018 Maggie stepped down from her role as the market manager and graciously offered the market to Good Roots. Her hard work and passion for Farmers Markets are the building blocks for this glorious market. We are so grateful to be a part of this community and continue the traditions Maggie has developed. The market highlights approximately 25 vendors each week with fruits, veggies, nuts, honey, hummus, flowers, local farm eggs, meats & chickens, fresh seafood, local wines, fresh artisan breads, pies & pastries, nut butters & vegan spreads, and seasonal favorites too. Our hot food vendors include made-to-order crepes, tacos, tamales, quesadillas, rotisserie chicken & ribs and so much more. During the holidays we love to feature local craft vendors as well! ​Hope you come visit us soon!